Guyana’s rich cultural heritage will be on display with performances by the celebrated Ram John ‘Porkpie’ Holder from Desmonds, flautist Keith Waithe, performer Doris Harper-Wills, dancer Crishna Budhu and steel pan player Christopher Hodgson who thrilled the audience at the Official Launch of Guyana’s Golden Jubilee celebrations on April 17th in Wembley with their performances. That was just the taster! They will be joined by world renowned poets John Agard and Grace Nichols and other talented Guyanese including Seetal Gurprashad, Alan Cooper and more…. It is by no accident that this Heritage Concert is being held at the Bernie Grant Arts Centre which is named after one of Guyana’s most famous icons and trailblazers in the United Kingdom. We will pay special tribute to Bernie Grant as a source of inspiration to minority communities and as a voice of the people. Come and enjoy an afternoon of poetry, music and dance which will no doubt be a nostalgic experience for many and a source of inspiration and pride for others. 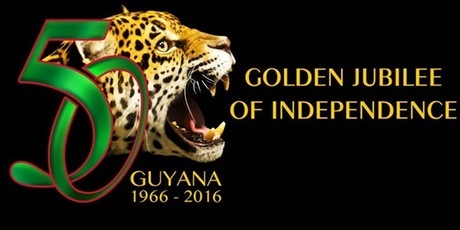 The Guyana Heritage Concert is sponsored by Ouhla Properties Ltd and UB Fitness Ltd, the Official Partners of Guyana Gold 2016, the programme of events organised by the Guyana Golden Jubilee Organising Committee (UK). For more information visit www.guyanagold2016.com.